Arctic sea ice area already shrank by over 81% this year. Arctic sea ice area was 13.70851 million square km on the 88th day of 2012, as illustrated on the image below by The Cryosphere Today. The image further below shows that only 2.59449 million square km was left of Arctic sea ice area on the 238th day of 2012. 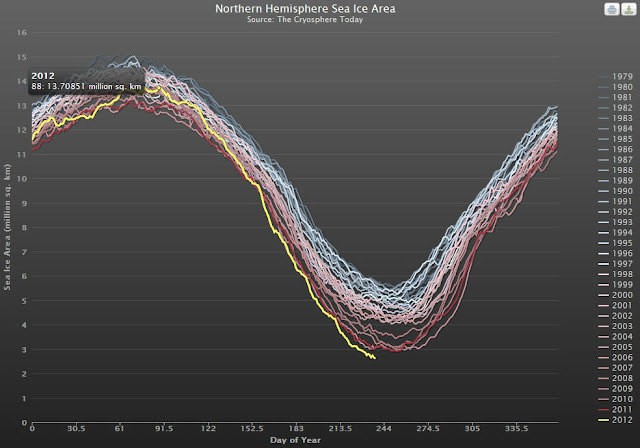 In other words, less than 19% is left of the sea ice area there was earlier this year. And there's still quite a few days to go in the melting season. What this record sea ice loss of surface area in one season means is that there is a huge increase in rate of loss. 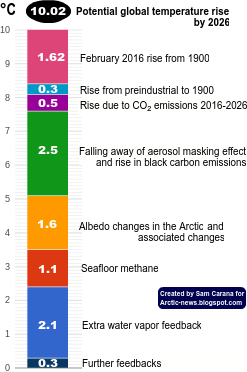 Considering effects of Arctic warming hammering the ability to grow food and for the Earth to keep moderate temperature and wild swings in extreme conditions from stagnating in portions of the world adding even more to hardship I think something like cascade of events akin to hard case runaway feedback is already on. 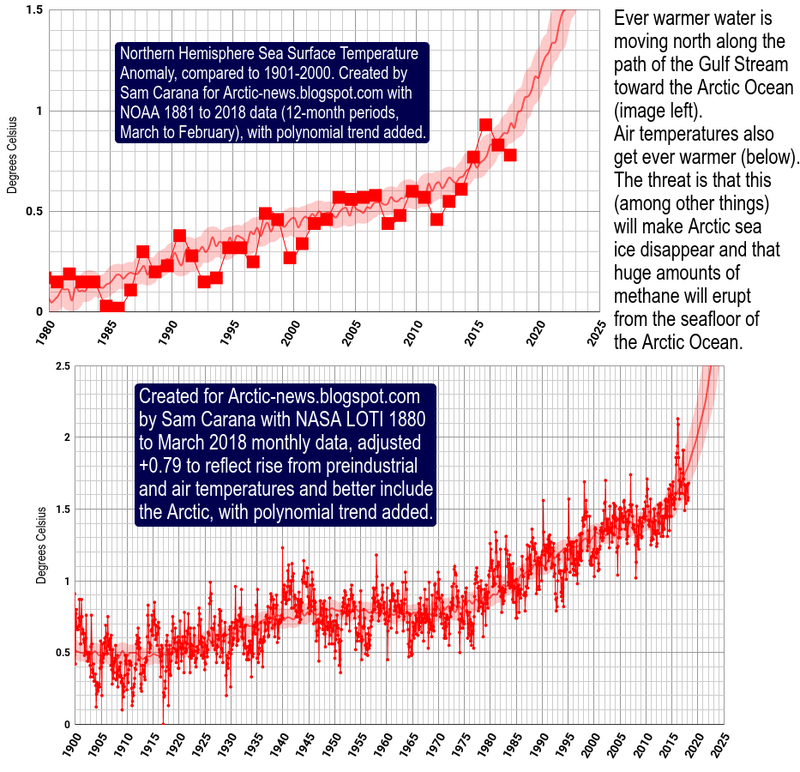 Graph of sea ice area loss indicates steepest sustained pitch downward and longest decent by far in a year reaching new lows and still going. Earth's northern ice cover is the key ingredient that has held temperature stable relatively with oxygen rich atmosphere to keep Earth's open biological systems vibrant. That is going to go away and rapid transition will occur because of present levels of CH4, methane. In and near frost.